Everyone knows a thing or two about eating out: we find a restaurant. We sit down. We order. Whether the meal ends on a lush high note, or leaves us feeling as underwhelmed as cold mountain yam, we want to spread the word. After all, these days spreading the word is in our soul, no matter how blunt the word is! And so, there are restaurant guides, online review sites, and magazine critiques to show and tell. Or perhaps, instead, we post a picture of our plate of food to Instagram and tell friends how it tasted (we may even tag the restaurant and write a few words). But do any of these after-dinner dashboards really hit home. Do any of them sing? What if we were to take things further and create, say, a benchmark? What if there was a way to tell the world how solid each individual plate looked and tasted…in order for the world to enjoy it too? Gather round, friends, because this is whenEatOpine rounds the corner. 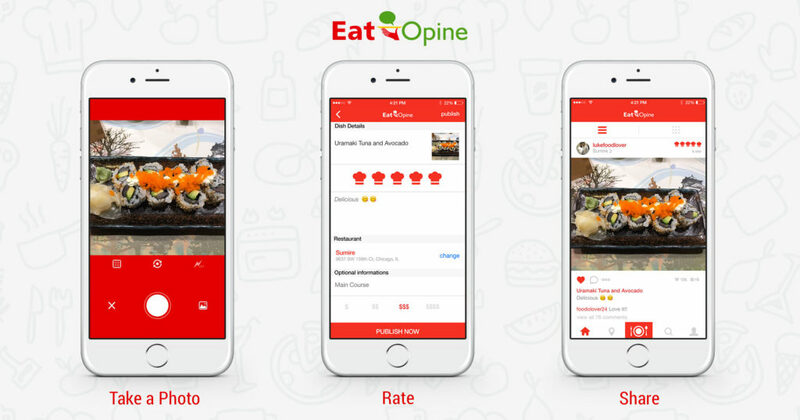 EatOpine is a fancy new take on comprehensive foodie reviews clear, sophisticated, user-friendly, focusing on the food itself rather than the restaurant. Morevoer, unlike the folksy spiel found on a platform such as Instagram, the new app allows users to rate dishes, price them, and lead others directly to the source of the skinny. 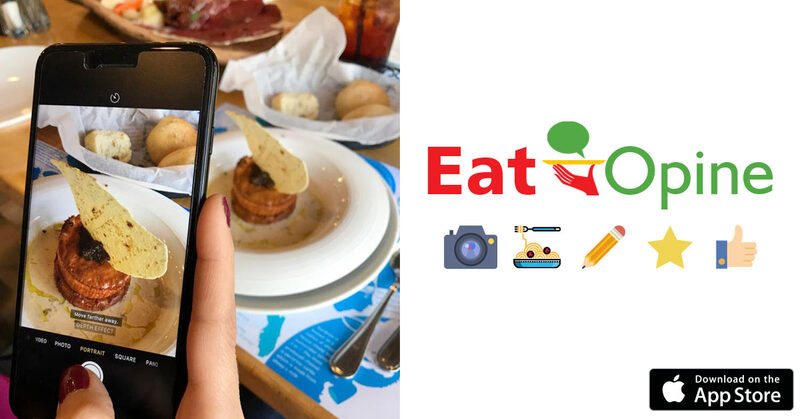 EatOpine is an innovative social networking app designed to make sharing first-hand culinary kick-backs easy. And this it done in the clearest way imaginable. A picture paints a thousand words, they say. And it’s true for EatOpine. Uploading a picture of a dish to the app’s crescent-fresh platform allows others to see what we have in front of us, and it invites them to join the adventure. But EatOpine isn’t just about sharing…it is all-in-all a food-lover’s bible into which the user drops their shining, or flack testament. Pictures and reviews, pricing, taste, and unique restaurant specialties combine to swerve others to follow. The user leads the way to the cross on the map; then, shares the flush contents of the treasure chest. And when we are looking for something to eat and somewhere to eat it, EatOpine is hard to beat. The app works equally well on the hunt. Selecting either “Dishes”, “People”, or “Restaurants” from the main menu allows us to find a solid eatery that serves up our favorite food mixed, of course, with ratings from other users. EatOpine is big and it’s getting bigger. Given that we live in an age of restaurant-based regeneration, and that more young people than ever before are eating out, the app will only become more popular and universal. It is already the chosen tear-and-share of culinary ninjas the world over; a way to make the dining experience more personal and more enjoyable. Can a few words on Instagram deliver all of that? In a word…no! Take a picture, taste the dish, and rate it! As missions statements go, that’s pretty revolutionary. No Replies to "Why you need to post a food photo on EatOpine, not Instagram"